The Spin Saver is a boost that allows a player to continue their Score Multiplier, even if a single gem remains on the reel. 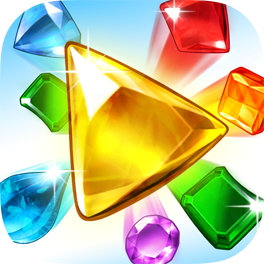 The Spin Saver will take away a single gem that’s keeping you from a Free Spin three times during the next level! You can activate this boost by selecting it before a level. This boost will make a level longer because it’ll be easier to earn Free Spins, and will likely increase the score for the level due to having more chances for a high Score Multiplier. Make the most of the Spin Saver by planning moves so that there will be one or less gems left in the reels every spin.